The old style, office water cooler has been around for decades, most people don’t even give them much thought when they take a glass full of water! But when you tell people there is a better way, their ears usually perk up! 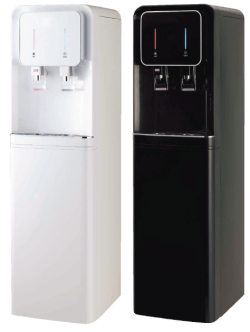 Think Bottle Free Water coolers that purify and even enhance the office tap water. The days of bottling water are coming to an end. Many towns, cities, universities and local gov’ts are starting to ban bottled water at their facilities and events. Most are aware of the negative environmental impact of bottled water. It has been estimated that it takes 17 million barrels of oil to produce bottled water, plus another 17 million barrels of oil to deliver them, and generates more than 2.5 million tons of carbon annually. We all know how many of these bottles end up in our landfills. While banning bottled water is a good thing, drinking tap water can be questionable in many areas. So what is the solution? 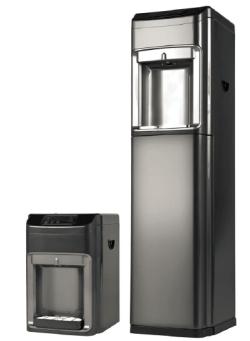 Mineral Pro has some ultra modern looking bottle free water coolers that have built in filter systems to produce clean, safe, filtered water – almost like having your own water bottling plant right in your own office! Why are these better you might ask? 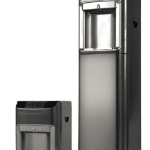 There are numerous reasons why it makes really good sense to switch your old water cooler to the way of the future with the bottlefree version. First and probably most important in today’s economy is cost. Offices typically use anywhere from 4 up to 12 bottles a week , at a cost ranging from $6.00 to $8.00 per bottle , delivered to your office. Typical cost to a business often run over $60.00 per month and very often over a $100 per month for larger offices. Mineral Pro coolers can be purchased from $795.00 and up, depending on the selected filtration unit, and in some areas, can be rented from our dealers for $39.95 per month per cooler and up, depending on number of people in the office and the required filter changes. Most times a simple annual filter change is all that is required. Bottom line is you can produce your own water at pennies per liter, compared to a minimum of .30 cents per liter of bottled water that you currently buy from your water store. One of the biggest complaints we hear from people using large bottles for their coolers is – who is going to lift the 50 lb bottle to replace an empty one? In offices we very often find they empty their bottle and then delay for a significant time waiting for someone to change, it is a very heavy bottle to lift! The next most common complaint is running out of water, usually when it is hot outside and people are drinking more. You have to call your water supplier and wait for them to bring you more bottles which can take a few days! 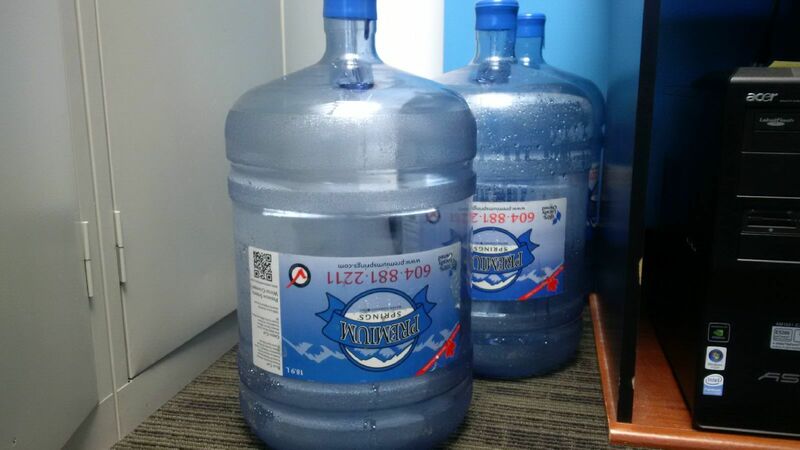 Another complaint we hear is the delivery of water bottles to your office from someone using a dolly to transport them and perhaps not taking enough care, resulting in damage to office furniture. Add to this the storage issue of the big bottles, both full and empty. How much space are you wasting at over $5 per month, per square ft? Where Bottled Water Comes From? Water produced in your bottlefree cooler is always made fresh on demand. You are in control of the water you are drinking. Do you know how your bottled water is produced? How long has it been sitting in the plastic jug adding some BPA “flavoring” to your water? How it was filtered? Has it been sitting in the sun making it susceptible to algae growth? Have any of the people delivering or handling your jugs had a virus/flu and maybe coughed their germs over your jug? The bottled type system works with an open reservoir for the water storage, thus anyone using the cooler that has a cold/flu can easily spread their germs into the water. Bottlefree coolers have a sealed surgical grade, stainless steel reservoir preventing any chance of contamination. 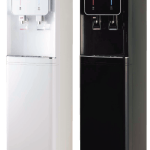 Mineral Pro bottlefree coolers dispense Hot and Chilled water on demand – no more waiting 3 to 5 minutes for the kettle to boil to make your tea or soup, it is always ready! Call us – and get free of those bottles!